Strikeforce's best assets are cramped in the "undecided-for matters" category at this moment. The future of Fedor Emelianenko and another CBS network show are still suspended due to continuous deliberations between parties involved. Between the two, Emelianenko’s future is more likely to be decided upon first. Strikeforce CEO Scott Coker talked about ongoing productive talks with the Russian fighter’s reps in a conference call last Monday. This anticipated match will be Emelianenko’s comeback after suffering loss for the first time in almost ten years. Last June 26, he fell into the hands of competitor Fabricio Werdum. The holds a clean record of 32-2. There is a rematch request that reportedly came from his camp, but they are also looking at the possibility of a heavyweight encounter between him and Alistair Overeem. On the other hand, the terms for the future of Strikeforce on CBS remains indefinite. The last show broadcast on the network was Strikeforce: Nashville back in April. It featured a three-title match that drew around 3 million viewers on average. But a post-fight brawl following the Jake Shields vs. Dan Henderson fight put the event in a controversial light. Coker said, “We have dialogue but there’s nothing definite.” It is interesting to note that a fight aired on CBS where Emelianenko stood up against Brett Rogers gathered 4 million viewers on average. 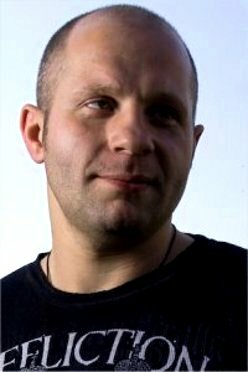 Emelianenko and a CBS show would definitely be something to beat.